There is no doubt that when women support each other, magnificent things happen. Women who uplift, support, and celebrate other women instead of trying to bring them down create a healthier workplace for men and women alike. If this is the case and the evidence supports this position, why are so many women in sales struggling to do what they know is right? The spirit of competition in sales is as old as the profession itself. 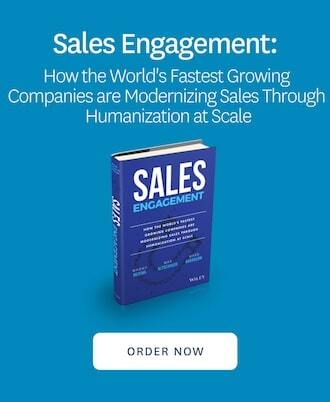 Companies count on this competitive environment to motivate their sales teams to achieve and exceed their goals. While there’s nothing wrong with competing against your teammates, many women sales professionals wonder, “How am I supposed to compete against my fellow saleswoman and have her back at the same time? As individual contributors, the typical sales culture encourages us to be laser-focused on our own goals; however, that’s not the cultural message women receive Society pens men as providers, protectors, and fixers. Men are supposed to take care of themselves so that they can take care of their families. On the other hand, society views women as nurturers and caretakers of others. People tend to label competitive women sales professionals as “aggressive,” “salesy,” bossy, and (heaven forbid), a “fierce “b*tch.” To encourage women to thrive in a highly competitive environment goes against everything history has taught us and how society wants to see us. #1 – No hazing allowed. Too often, veteran female sales reps put newbies through frivolous initiation rituals because they were subjected to the same behavior. As a result, some women adopt an “I had to figure it out, so they can too.” or “I was the only woman on the team when I started, and no one helped me…” attitude. Whatever the reason, taking this approach in an attempt to “school” a new rep only serves to increase hatred and anxiety. Let’s stop the hazing and try adding some kindness. #2 – A closed fist cannot receive. When you hold onto your knowledge, time, and resources, you block the Universe from giving you more. No one is asking you to give away the secrets to your success, however, try to think of ways that you can share a little bit of yourself to help a woman who needs guidance. For example, riding along on her sales calls and helping her identify opportunities for improvement can dramatically improve her learning curve. #3 – Shining a light on someone else makes your light shine brighter. The natural tendency is to believe that if we praise another, somehow others will fail to see our brightness. Nothing could be further from the truth. When you are free and gracious with your praise and compliments, others see you in a positive light and as someone who is confident within herself. After all, only insecure people are afraid of having the spotlight shine away from them for fear that others won’t see their value. #4 – They print new money every day. In a highly competitive sales environment, it is to adopt a scarcity mentality. When we come from a place of scarcity — or an “I have to get mine before anyone else does” type of behavior — we operate out of fear, and that fear leads to desperation and a feeling of lack. The reality is that unless your company has 100% market share, there are enough prospects and customers (and plenty of money) to go around. Successful women in sales know this, so remind yourself of this anytime you are tempted to feel otherwise. #5 – The best measure of your success is by the number of people you help achieve theirs. Anyone can accomplish great feats but those who take the time to help others accomplish their dreams and stand head and shoulders above the rest. As you progress in your sales career, be willing to take a new female rep under your wing and mentor her. It won’t hurt you at all. Both of you will benefit from the relationship. She will gain valuable guidance, and you will feel fantastic knowing that you’re giving back what you have been fortunate enough to receive. #6 – Be true to yourself. Sales may be a cutthroat profession, but it doesn’t have to be cutthroat for women. You can decide how you want to succeed – you have the right to be a champion, encourager, and referrer. What mark do you want to leave on the world? What legacy do you want to leave behind? What do you want others to say about you long after you have moved on from your current role? The answers to these questions will reveal your authentic voice and allow you to live authentically and on purpose. Yes, sales is a highly competitive profession and can be cutthroat. As emotionally mature women in sales, we have the power to change this reality for ourselves, our companies, and other aspiring women sales professionals. It is up to us to be the change we wish to see in the world. Cynthia Barnes is recognized as one of the most influential Women in Sales leaders and professional development experts in the world. The former Top 1% saleswoman founded the National Association of Women Sales Professionals in 2016, the nation’s only organization dedicated to helping women sales professionals reach the Top 1% and Dance on the Glass Ceiling™. She is recognized by Sales Hacker one of the 35 Most Influential Women in Sales. She also serves on the Board of Directors for the National Sales Network Detroit Chapter.